Do you have them for my aircraft? Micro Vortex Generators are small aluminum blades placed in a spanwise line aft of the leading edge of the wing and tail surfaces. 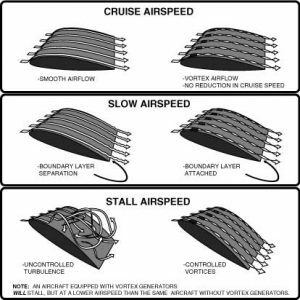 They control airflow over the upper surface of the wing by creating vortices that energize the boundary layer. This results in improved performance and control authority at low airspeeds and high angles of attack. How do Micro VGs Work? Micro Vortex Generators are manufactured under our FAA PMA from aircraft grade aluminum and are alodined to a mil-spec, ready to accept paint before installation. 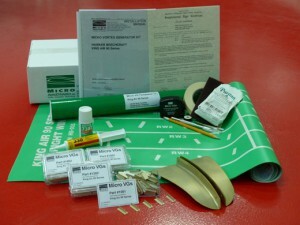 A Micro VG Kit includes the STC, VGs, installation tools, computer cut templates, detailed illustrated drawings and instructions, and Loctite® 330™ Depend® Adhesive for installing the vortex generators on your airplane.